I have considered ‘limits’ for Muddy Boots in terms of four specific areas; myself, others, space and resources. I asked lots of questions of myself without really feeling I had to strive to find the answers at this stage. It seems like a big long list of anxieties and questions, however it is useful to put them out here and get them out of my head! MYSELF – Do I have sufficient time, energy, confidence and skills to steer this project on my own? Can I keep up the momentum for the group? Will my own children enjoy it or will they find it difficult with their mummy being so busy during the group sessions? Have I got enough support from other group members, other allotment users, my husband, my friends, the Permaculture community etc? Can I come up with fun ideas to keep everyone engaged? Are my ideas age appropriate? What about the safety aspect of using the allotment? Are we covered for insurance/ first aid/ theft etc? Is this too much pressure to place onto myself? What paperwork will I need to complete? OTHERS – Will people want to come along at all? What would people consider a suitable donation to pay? Will people be willing to contribute in other ways, such as donating plants, seeds, compost, time? Will people want to participate in the running of the group? Should i set up a steering group? Will the people be nice and understand what we are trying to achieve with Muddy Boots? Will they expect too much? What if no one/ too many people come? How would I cope with that? Where and how should I advertise the group? SPACE – Are the other users of the community allotment happy for us to be there, using the plot and making changes within the education space? Will there be an anti-youth feeling? Will Sue and the other major users feel that I am stepping on their toes? How will I manage these relationships? Will I be able to get the space ready on time for the first session? Will I be able to keep everything weeded and watered when I have very little time to actually spend down at the allotment? Can I ask the Tuesday group for help with this? Is the space safe and suitable for the group to use? Have we got the scope to develop as I would like? What about use of the sheds? Can I get keys’ cut? Am I happy to be the key holder? Do we need to contribute to the site insurance costs? Is there anything we can’t do on the site? Are there restrictions on the hours I can gain access? 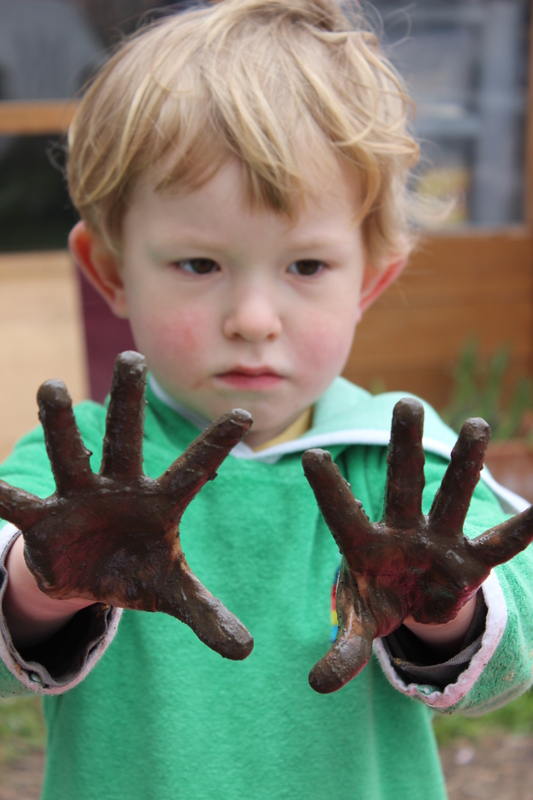 RESOURCES – Do we have enough tools, plants, seeds, compost, toys, books, art materials etc? If not can I really expect them to be donated? Or should I try to fund raise? Can I get help with this? If other people are leading sessions can I ask them to be responsible for their own resources? Can I let go of the control and trust them to do this? Would it stress me out too much? Have I got space to store things at home? Or should I try to keep everything at the allotment in one of the sheds? Where can I find interesting resources and ideas for workshops? How will I find the answers to these questions?…………………………………………….. This has felt like rather a negative exercise so I will end by looking at some of the positive outcomes of having, or conversely, getting rid of limits. 1. We only have a limited number of sessions, probably around 14 spaced every two weeks from May till October. So the project has a limited lifespan, although I’d hope to repeat it in years to come. This time limit should keep up energy levels and keep focus on achieving good results within a restricted time frame. 2. Each session is only 90 minutes long and the target audience is pre-schoolers. I need to keep both these facts in mind to ensure I am not overly ambitious in trying to achieve unrealistic results. 3. Muddy Boots is no longer managed by a company, it is managed by myself and the participants. So we are free to take the group in whatever direction feels appropriate. To be unrestricted and unlimited like this is great, unusual, liberating and should be enjoyed. 4. The garden space is limited with lots of uses required from it, so the parts we can actively ‘garden’ are limited. This should hopefully make it less of a daunting task if I do end up doing a lot of the maintenance work on my own. 5. Young kid’s imaginations and ambitions are unlimited by the constrains of society. I’d like some sessions to be very loose and take the lead from what the children express an interest in. This has already began to happen in one of the first sessions as explained below! We try not to limit how the children interact with the planned activities. The idea was for a barefoot walk. The children were to hear the story ‘We are going on a bear hunt’ then walk barefooted around a path with different materials underfoot. 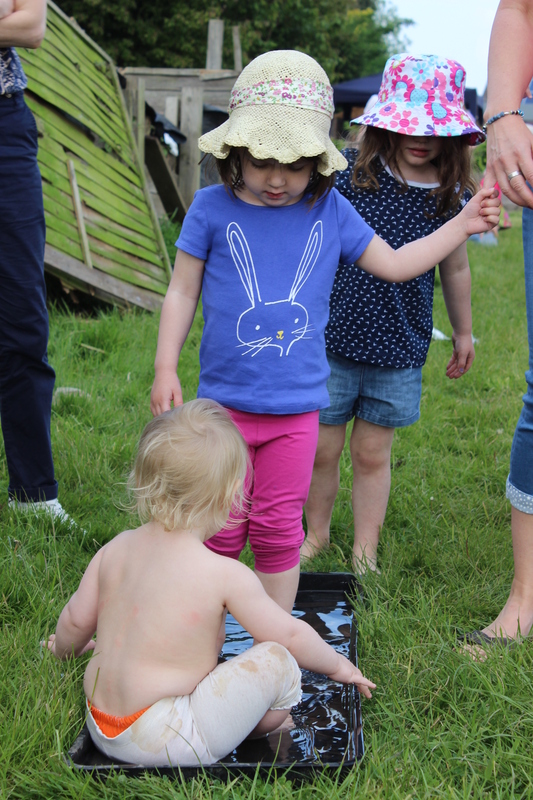 When it came to walking through the water trough and feeling the cold water on their feet, a few children much preferred to sit in the water, it was a hot day, so who could blame them! This entry was posted in Uncategorized and tagged community allotment, Diploma, limits, Looby Macnamara, Muddy Boots, people care, Permaculture, Permaculture Diploma by emilycrofton. Bookmark the permalink. It’s useful to capture the limitations so you can think through how to address them before hand, and leave yourself feeling confident. It sounds like you have everything under control. Nice! Thanks, some days it feels under control, other days its chaos!